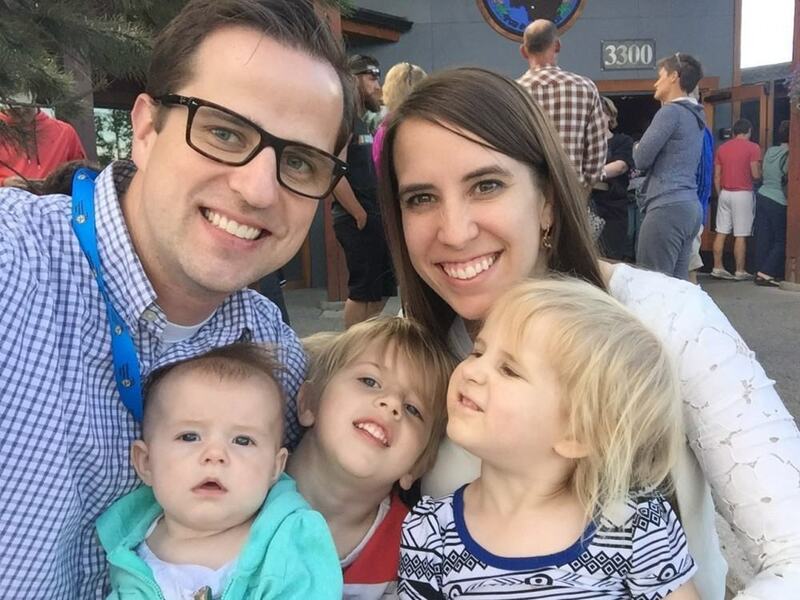 When I decided to quit working outside our home and stay home with our kids I was so excited. I absolutely adored my baby boy and I was ready to take on the world. One moth after finishing out the school year as a teacher for the last time we moved to a new state. I was on my own with a new baby in a new place. Going out with a baby is overwhelming as it is, add a new place to that and I was intimidated. What I learned was that having the right baby gear made going out with my baby much simpler and gave me the confidence I needed to get out and about. Now I have 3 kids under the age of four and I find myself in Anchorage, Alaska. I have learned that getting out with kids is worth the extra work! Here is a little glimpse into how we love to get out and about in our new home town. I received samples and compensation for this post, all opinions are my own. Hiking- Alaska is known for its beautiful scenery, and hiking is the best way to experience it. 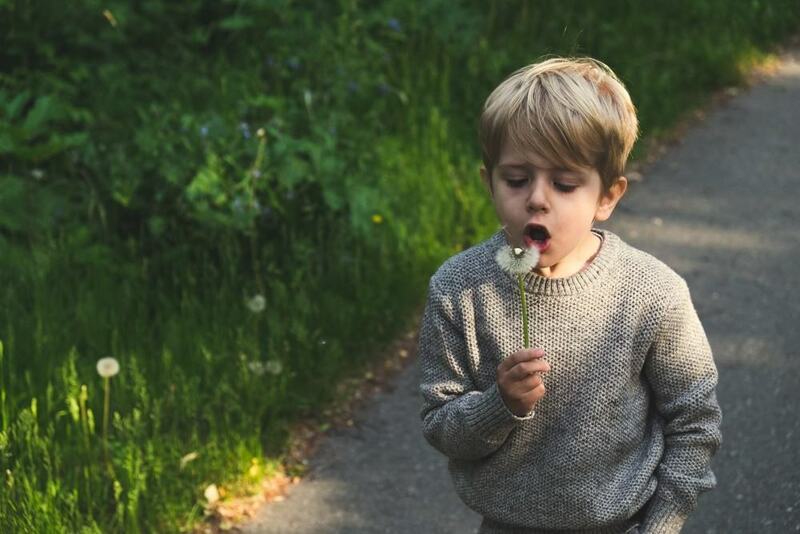 A quick google search will tell you which hikes are kid friendly. 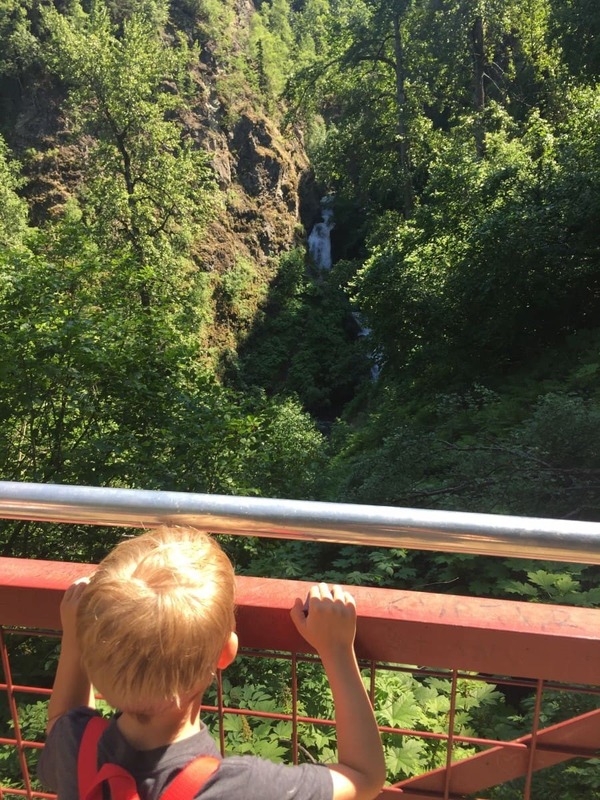 One of our favorite kid friendly hikes is just a short drive from Anchorage, Thunderbird Falls. About 2 miles round trip, this walk in the woods is heavily rewarded with a gorgeous water fall in the middle and beautiful river at the bottom of the falls. 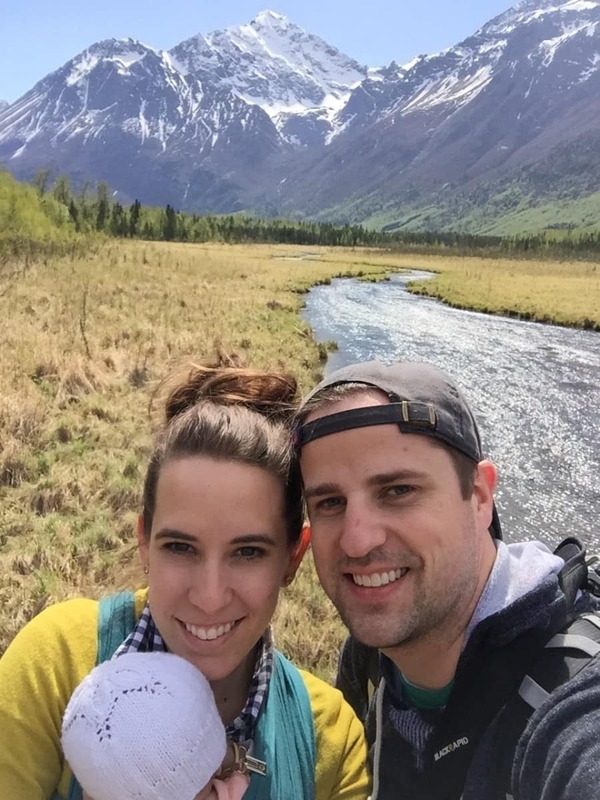 Just up the road from the falls is the Eagle River Nature Center, which is an great spot for hiking and education. They even have nature programs for preschoolers! 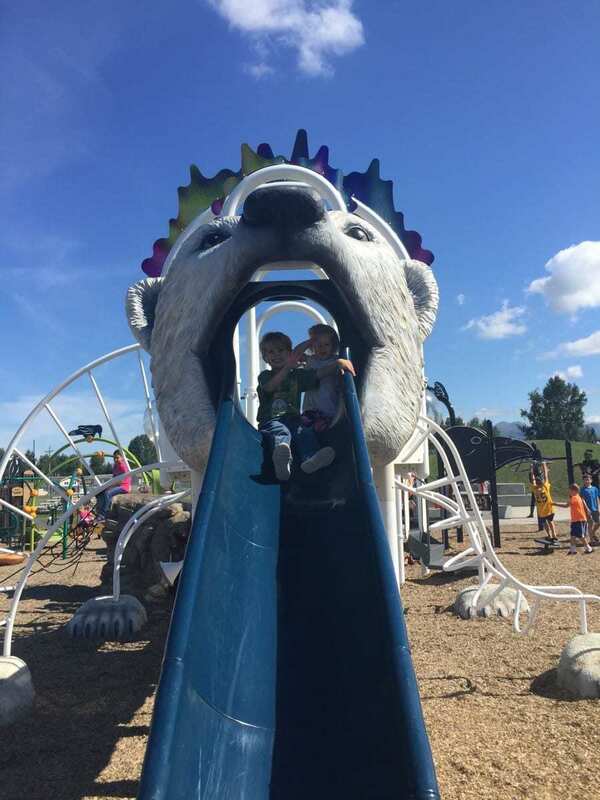 The Parks- Anchorage knows how to do parks. We have already been to four different parks and they have all been beautifully maintained and full of fun. From playgrounds to beautiful wildlife sanctuaries, you could spend months trying to go to them all. Kincaid Park is right down the street from our house and it is 1,516 acres of natural land complete with skiing and mountain biking trails, walking trails, beaches, and a bunch of moose, bears and other critters. We love to head down there for family walks and adventures. Lakes- Alaska has several lakes around that are perfect for a day of swimming. I am so impressed by how family friendly they are. All of the city lakes I have been to have a spot with community life jackets that you can use while you are there. They are hung up on a bar and replaced regularly. Many of the lakes have lifeguards on duty, making it a little easier for a mom to relax knowing there is help nearby if I need it. You can also rent paddle boats, canoes, and kayaks locally. Turnagain Arm– Just south of Anchorage you can take a beautiful drive down the Turnagain Arm. The Turnagain Arm is a waterway into the northwestern part of the Gulf of Alaska. This beautiful stretch of coastline is home to Beluga whales and regurlary has a bore tide. A bore tide is when the edge of the incoming tide forms a wave (or waves) of water that travels up a river or narrow bay against the direction of the river or bay’s current. This tide can be as high as 6 feet and we have even seen people surfing it. It is one of the first places I fell in love with in Alaska. When the tide goes out it leaves behind beautiful mud flats and when the water rushes back in it is amazing. The tide in this area is so unique and intriguing. 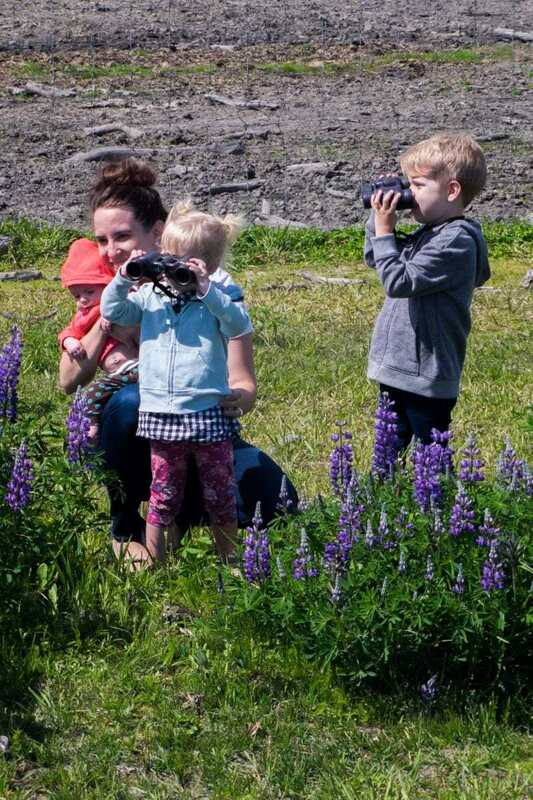 The Turnagain Arm is also home to Potter’s Marsh, where a wooden boardwalk winds 1,550 feet through a marsh and across watery openings, perfect habitat for a rich variety of birds. It is also home to moose, black and grizzly bears, geese, salmon, and our favorite, the breeding pair of bald eagles who have called this place home for 10+ years! Last time we were there we watched one of the adult eagles bring back a fish in it’s talons for their baby, so cool. Alaskan Wildlife Conservation Center- This was one of the first places we went as a family here in Alaska, and we immediately bought an annual pass. The Alaskan Wildlife Conservation Center takes in injured and orphaned animals year-round and provides spacious enclosures and quality animal care. Animals that cannot be released into the wild are given a permanent home at the center. It is so fun to see the native animals of Alaska being taken care of so well. After visiting I tried to talk my husband into taking in a baby moose as a pet. If only the didn’t grow up, they are some of the cutest animals I have ever seen. All of this nature and adventure makes you work up an appetite and we love nothing more than to head into Moose’s Tooth Pizzeria. Recently named 3rd best pizza in the nation, this is a hot spot for locals and tourists alike. If you happen to stop in make sure you get their Jalapeño Hummus appetizer, you can thank me later! So there is a little peek into Anchorage, Alaska. I did not expect it to be so family friendly, but we have a million more places to go and explore with our kids! 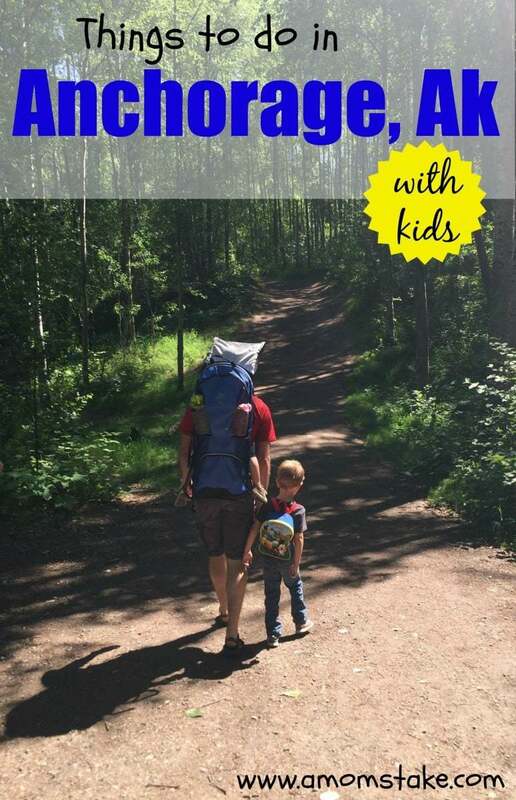 When you head out with your kids what is the one piece of gear that you need the most? Stroller? Carseat? Pack N’ Play? No matter what your must have equipment is, Graco has you covered. 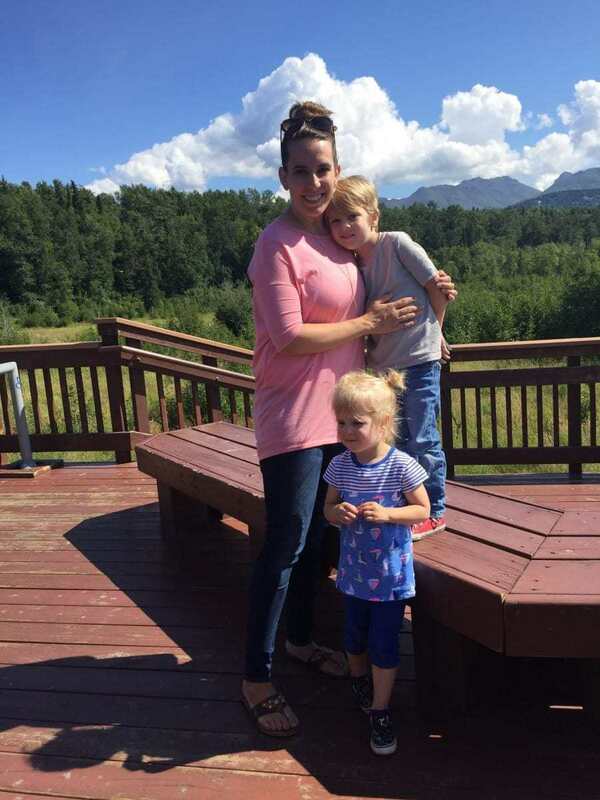 I absolutely adore their products and they make it easy for this mom of three small children to get out and about. I have a couple of favorite products from them that I will be filling you in on in a few weeks. Have you ever been to Anchorage? How do you like to travel and explore with your kids? Anchorage looks so beautiful. These are great photos. 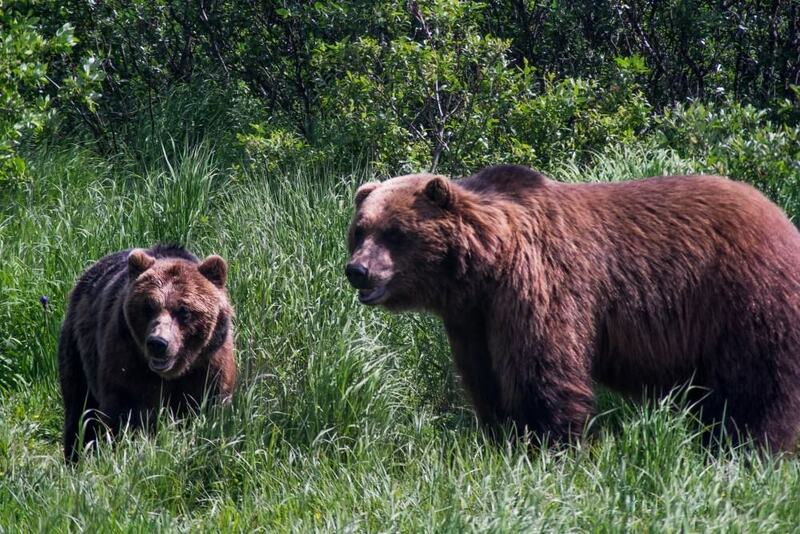 I want to go to Alaskan Wildlife Conservation Center for the day. The kids would love it. I have never been to Anchorage before. It looks so beautiful there. I would love to go to Kincaid Park . I would love to go to Anchorage some day. YOur photos are so beautiful! wow this looks like so much fun! i lovee the view those mountains are gorg. I have always wanted to go to Alaska! I have family up there and they always share the best photos of the fun things they are doing outside. I’m jealous. My mother visited Anchorage about 15 years ago and she said it was lovely. I would love to visit some day. I have always wanted to visit Alaska! It looks like such a beautiful place. I have always wanted to go to Alaska. It is on my bucket list for sure! All these places looks absolutely breath taking! Enjoy everything you can while the kids are little! I think just BEING in Anchorage with the family would be amazing. All of these ideas are icing on the beautiful cake! I have a 5 year old. We would love to visit and do all of the fun activities in Alaska. I bet that we would create awesome memories. Anchorage looks beautiful! I’ve always wanted to visit so maybe it’s time to get the trip started!